Following is the calender of events for this year organized by TCSBC. We urge you to give your full support for each and every event. The change in venue or the date, if any, will be announced on our news line, 604 277 1840. Kindly listen to the news on a regular basis for Society's activities. 5. 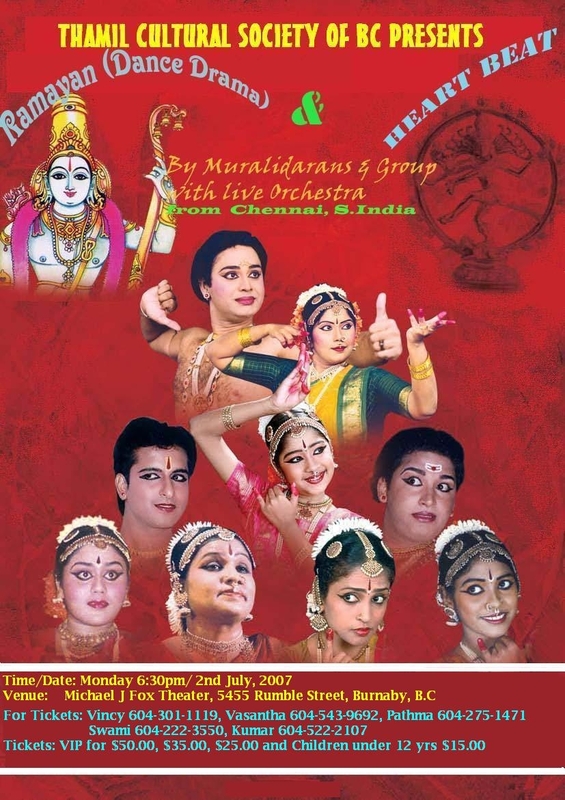 Tamil Schools' Oration and Song competition. 6. Thamil Schools' Annual day function. 8. X'Mas celebration by Women's wing. 9. Year end fundraising Dinner and Gala Dance night (X'Mas celebration). Please click the Pongal Flyer for details. Venue:Collingwood Neighbourhood House (Multi purpose room), 5288 Joyce Street, Vancouver, BC.